I've managed to fit in a bit more reading than I had two weeks ago so I have some progress to report. 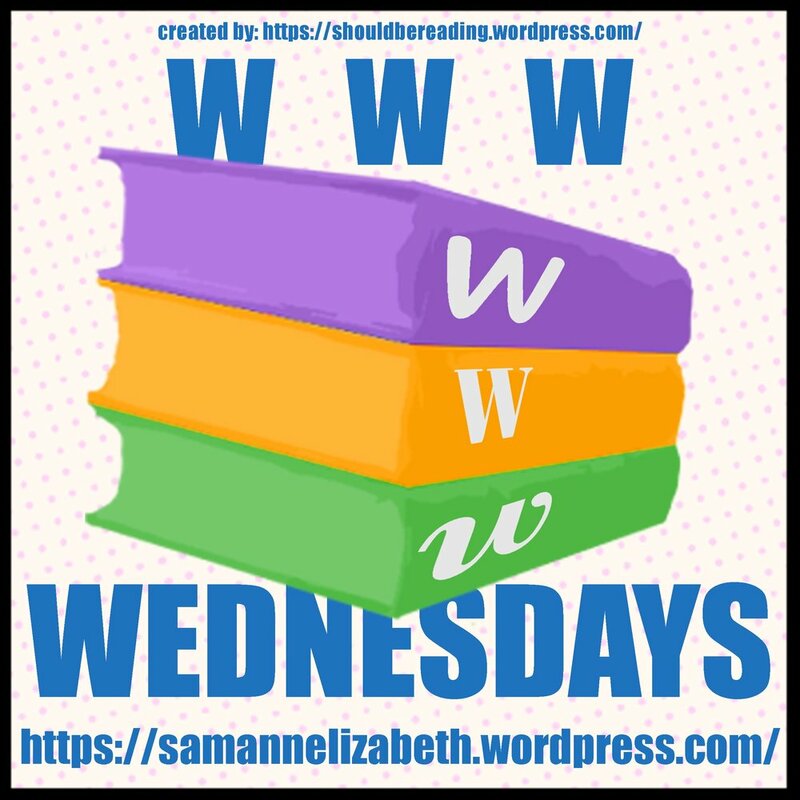 I think it likely that this will be the last WWW Wednesday this year - though I might surprise us all with one more! I first saw this meme on Cookie Break with Sarina Langer but it’s hosted by Sam over at Taking on a World of Words and I thought it would be a lot of fun to try out. So let’s get started. I am currently reading Abernathy by Claire Patel-Campbell. I'm so glad that I finally got a chance to read this book, it's very good. I'm only around 30 pages from the end at this point, I still haven't worked out what's going on. That is a really refreshing change for me and I'm enjoying the suspense. I'll be posting a full review of this, most likely next week, but in the meantime, I would encourage you to pledge your support to this book. Abernathy is the story of a murder but it is not a murder mystery. It is the exploration of the effect of that murder on the people of a small town. The writing is smooth and elegant, the characters interesting and the story compelling. Help get this book published! Last week, I finished Akiri: Sceptre of Xarbaal. A well-paced traditional sword-and-sorcery, I enjoyed this book. I would have liked to see a little more character development but the writing was very smooth and the story action-packed. Expect to see a full review up in the coming weeks. It is my intention to read Horror: A Literary History next. This is another book that I will be reviewing for the British Fantasy Society so expect to see a full review here at some point. This is a study in horror fiction from 1764 to present and I'm really looking forward to reading it. I have always loved horror fiction as much as I adore fantasy and have written a few horror pieces myself. What about you? See anything you're interested in there? What are you reading just now? Leave a comment and join in the discussion!